E-liquids, or e-juice or smoke juice is the special liquid mixture that fuels an eletronic cigarette (or e-cigarette) and is converted into the vapor. It provides the nicotine solution and the flavoring to your E-cig. We offer a variaty of e-liquids that contain premium quality CBD. When inhaling the vapor from these CBD liquids, the CBD is taken in by your body really fast. That’s why this is a really effective and popular way to enjoy CBD. Is the use of CBD E-Liquids unhealthy? All the Satijah CBD e-liquids ingredients are safe and do not contain any nicotine or other harmful substances. Yes, all ingredients are 100% legal. There is no THC in our e-liquids so they won’t cause a high. Now, to add to the already wide range of CBD products, you can purchase CBD e-liquid from our online store. If you already enjoy vaping, you don’t want to miss out on this unique experience. Vaping CBD e-liquids is perhaps the best way of taking CBD. The CBD inside the cartridges (which, unlike THC, isn’t psychoactive and won’t get you high) is quickly absorbed into your bloodstream while you kick back and relax. The e-liquids only contain CBD, look exactly the same as regular e-liquids, come in a variety of flavours, and contain no tar and nicotine. Our online store, CBDolie.nl, boasts an impressive range of flavours for you to choose from. 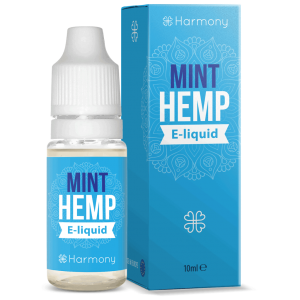 These e-liquids are enjoyable for smokers and non-smokers alike and come in a variety of flavours such as mint, strawberry, and O.G. Kush. Because there so many flavours, strengths, and concentrations to choose from, you’ll be sure to find an e-liquid that suits your needs. 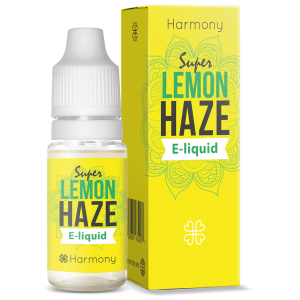 Harmony’s product range includes e-liquids with a range from 100mg of CB to higher concentrations of 600, or even a thousand milligrams! Just like suppositories, CBD e-liquids are perfect for those times when you’re in a pinch because they rapidly enter the bloodstream and produce near-immediate effects. 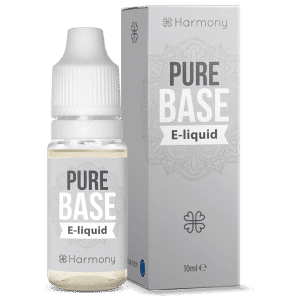 The Harmony Base line, which is easily identifiable by its grey packaging, is designed to be mixed to the e-liquid you love to vape for an added CBD boost. One drawback of using CBD e-liquids is that they can be difficult to dose, as some mental arithmetic might be required in order to figure out how much CBD one drag will yield. One could argue that vaping is perhaps the most relaxing way to consume CBD. Because you can make you pick from such an impressive variety of strengths and flavours, ranging from bold and delicious to pleasantly neutral, we firmly believe that our store has something for everyone. Some people vape CBD e-liquids to relax after a long day, while others have picked up an e-cig to quit traditional smoking. Vaping e-liquids are also one of the most effective methods of absorption. Harmony only uses properly regulated, tested, and approved well-tested and approved hemp of industrial quality. Harmony has perfected its formula in order to create the best possible taste and vape experience! In addition to their regular line, Harmony also offers a variety of other delicious flavours including Original Hemp, OG Kush, and Lemon Haze. Many CBD enthusiasts, smokers, and vapers will tell you that taste is subjective. That’s why we carry the brands and flavours that you love the most, and we’re proud to say that we carry a wider range of products than many of our counterparts. Whether you’re shopping for a product that’s nutty, lemony, or even an e-liquid that tastes like regular cannabis, we have something for everyone. You can also mix multiple flavours in order to create unique combinations. We offer a large range of strengths and concentrations, and our assortment ranges from products containing 100mg per 10ml to products containing up to 600 or even 1000mg of CBD per 10ml. Unsurprisingly, the e-cigarette has become increasingly popular among both smokers and non-smokers. Vaping is an enjoyable and satisfying way to wind down and relax, and many people have successfully switched from smoking regular cigarettes to vaping e-cigarettes instead. Today’s e-cigarettes come in a variety of shapes and sizes, and there are many different flavours to choose from. Harmony has over ten years’ experience and is a pioneer in hemp and innovative CBD products. They believe that quality control is the most important aspect of producing of CBD liquids and analyse each and every batch to ensure both quality and safety. It goes without saying that all of Harmony’s products are 100% legal and do not contain any nicotine or tar. We would be more than happy to answer all of your questions about their products, so please don’t hesitate to drop us a line. What’s the perfect temperature for vaping CBD? Getting the correct temperature is important when using a vaporizer. We recommend vaping the CBD e-liquid at a temperature of approximately 165 degrees Celsius. How do I use the CBD e-liquids? 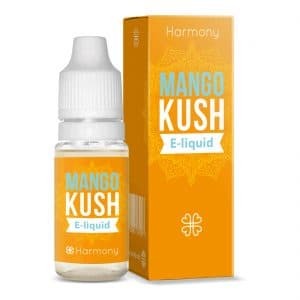 Harmony e-liquids are frontrunners in the field of e-liquids. Harmony’s CBD e-liquids are designed for use with all standard vaporizers and work just like regular e-liquids. With every inhalation, the vaporizer heats, and subsequently vaporises, a small amount of liquid flavouring, which is then absorbed through the lungs into the bloodstream. 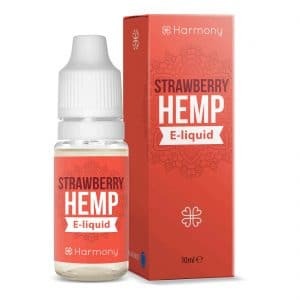 Vaping is emerging as a popular alternative for cigarettes, and Harmony’s e-liquid contains no nicotine or tar, which makes this product pleasant to use.